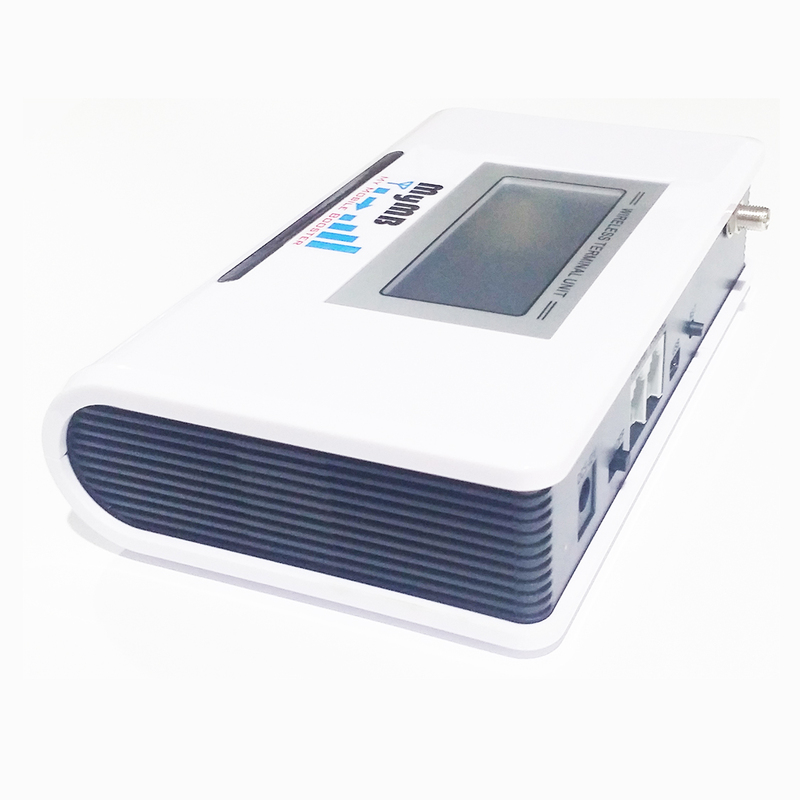 MyMB GSM Fixed Wireless Terminal / GSM to Landline Converter will convert the GSM sim card and output as a landline (PSTN) port. The landline (PSTN) port can connect to a telephone or a PBX / PABX system, it serve exactly as a landline phone just that the phone number is the mobile number and not a normal landline number. 1. 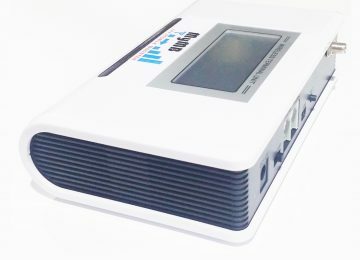 MyMB GSM Fixed Wireless Terminal / GSM to Landline Converter use imported chipset, signal quality is good and stable, call quality is clear and noise level is low. 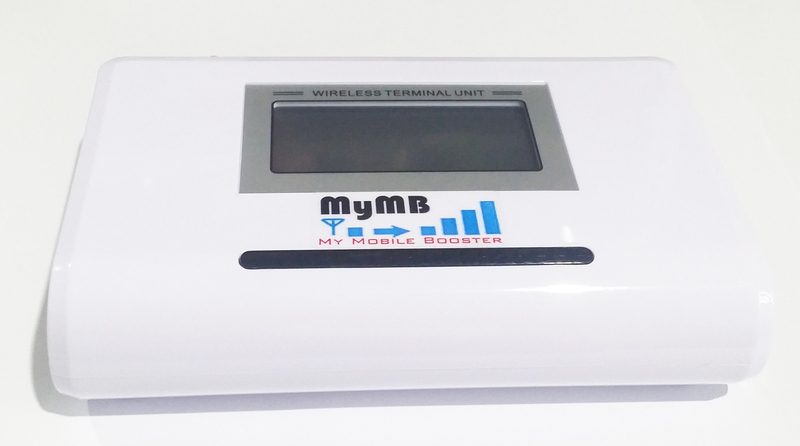 If GSM signal is too weak or not exist, please use MyMB Mobile Signal Booster to improve the in-building signal together with this GSM Fixed Wireless Terminal / GSM to Landline Converter, It will perform seamlessly and perfectly. 2. 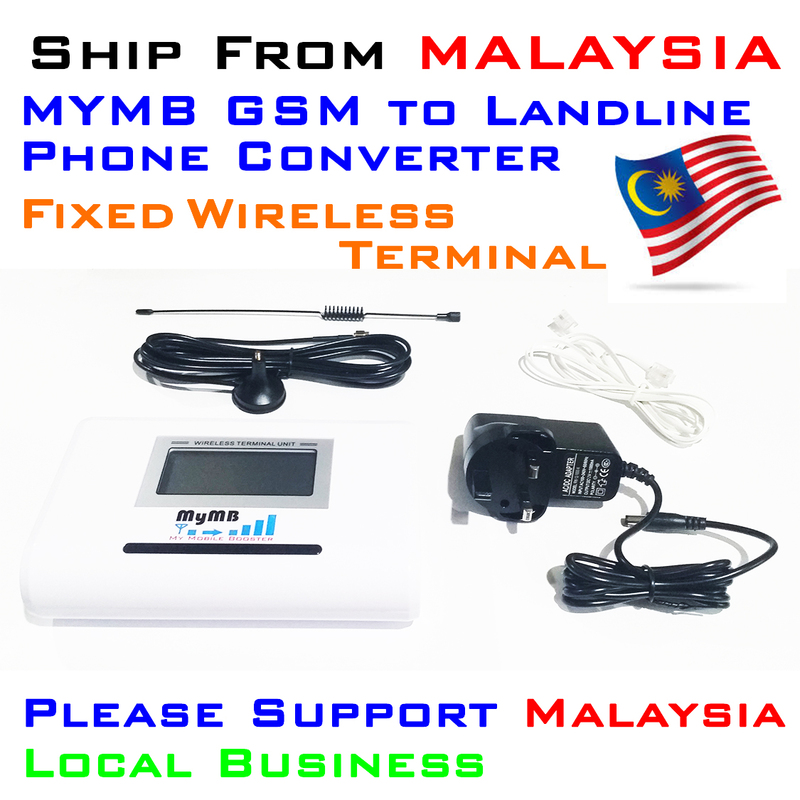 MyMB GSM Fixed Wireless Terminal / GSM to Landline Converter is reliable and cover with 1 year warranty. 3. Caller ID, Date and Signal Strength Display.